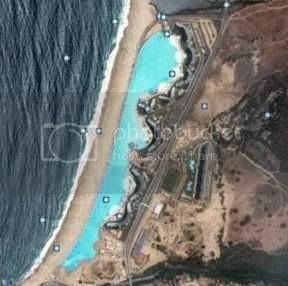 The swimming pool and the artificial lagoon at San Alfonso Del Mar Resort in Chile are eight hectares in size. The pool was acknowledged by Guinness World Records as being the world’s largest swimming pool with 1km in length and a capacity of 250.000 cubic meters of water. It cost $1.5 billion to make and fill and each 6 months $2 million will be spend for maintenance. So … if you want to stay away from sharks, jelly fishes and seaweed, don’t hesitate to put this place on your map.